Unlock Samsung Galaxy Admire 4G - Safe IMEI Unlocking Codes for You! Unlock Samsung Galaxy Admire 4G Handset! In case your Galaxy Admire 4G doesn't ask for the code and there is no designated field to enter it, please DON'T PLACE ANY ORDER, contact us first for support. Unlock now your Samsung Galaxy Admire 4G smartphone with our Fast and Safe Service! The process is easy and 100% Guaranteed to work! How to Unlock Samsung Galaxy Admire 4G Phone - Tutorial! The IMEI of your Galaxy Admire 4G. The country and network where your phone is SIM locked. Remember we need the original country and network of your phone! Your email address where you want to receive the code! Can you provide code for samsung handset from Mobistar, Belgium. 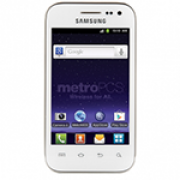 I live in NY and I just bought an AT&T Galaxy Admire 4G , can you provide the code to unlock it? Are you able to unlock my Samsung Galaxy Admire 4G from Hungary t mobile? Hi! SUper idea! How much is a code? Yes, we should be able to unlock this device. The price depends by the original country and network of your device. Please use the form for more details. Thank you!